Here's our latest animal costume picture of the month! 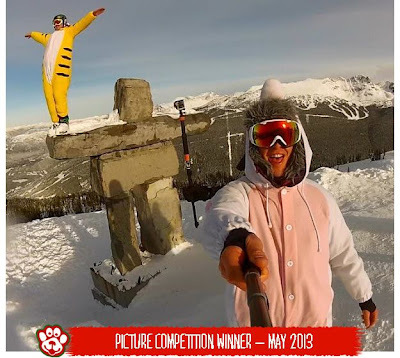 It was sent in by Neil and features both our tiger and unicorn kigurumi costumes in a dramatic snowy setting. Lovely. Neil wins a £50 voucher to spend in our online store: www.animalcostumesshop.co.uk. Thanks to everybody else for entering, and please keep sending in your animal costume pics - we'll be giving away another prize at the end of June!